When you need a professional moving service for your next Atlanta area household or commercial move, go with the experienced team at Bulldog Movers. We have been serving Metro area residents and businesses since 1982 with an unwavering commitment to complete customer satisfaction. 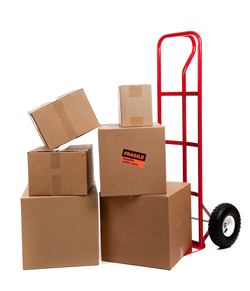 Our movers have the in-depth training and advanced resources to handle moves of any size and scope. We have more than 100 full-time, courteous, and non-smoking movers manning our moving van fleet of nearly 30 top-of-the-line vans in our signature Bulldog red. Our exceptional services have earned us an A+ rating by the Better Business Bureau, and we are Atlanta’s only mover to have earned the Consumer’s Choice Award for nine years in a row. If you need the most professional and trustworthy moving service serving Atlanta, Marietta, Smyrna, and surrounding communities, contact Bulldog today.